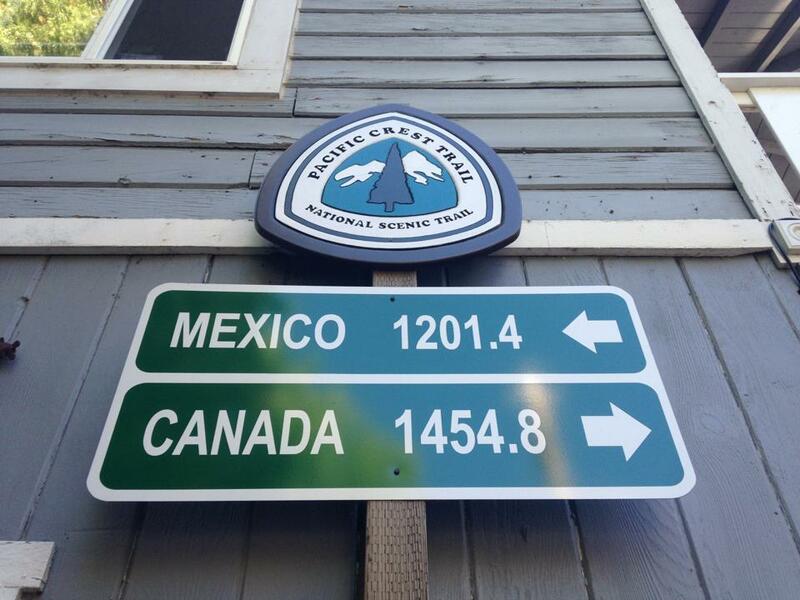 I decided to thru hike the Pacific Crest Trail at the end of October 2012 for a 2013 hike. I prepared in six months. What did that preparation consist of? I think it was more mental preparation for me than anything. I remember taking a look at the trail map when I got my permit through the mail. It was about four feet long, I was intimidated to say the least. I had lots of fear, fear of the unexpected. Soon that fear dissipated as I prepared more, gathered my gear, and received great advice from friends that had thru hiked in the past. I remember finding my trail shoes on sale, bought about 6 pair. I broke every one of them in by going on runs with them, throwing in some Superfeet too. In terms of physical preparation, it consisted of running a bunch, yoga, and lots of core strengthening. Didn't hike much during the winter months on the East Coast. At the beginning of October, I had a sciatica flare up (an old soccer injury). Luckily my insurance covered the spine and joint doc. I would receive three separate treatments of cortisone shots to the spine (not fun). On my last session, I handed the doc a spreadsheet outlining a rehabilitation regimen that focused on fixing my back via running, yoga, core work, and just paying attention to my body. The purpose of this spreadsheet was to let him know about my plans to hike. His response was real, his expression; none too hopeful, but he didn't completely shut me down, he said that it wasn't impossible. 2,550 miles later, I didn't have one bad day with regard to sciatica, no ibuprofen the whole walk, only time I had a problem was when I was in Deep Creek Hot Springs jumped from the upper springs into the lower and cut open my foot on a rock (shnarf). In part, I believe my luck with my health on trail was how I approached rehabbing, rolling out before and after a run, stretching, and yoga and meditation. Also, how I took my time and listened to my body for the first few hundred miles. The best advice I can give you with regard to how you approach a walk like this is: the trail is different for everyone, for me, it was less of a physical obstacle than it was a mental one. Your experience can be radically different from one person to the other being only hours apart. It made me reflect on life, I think the trail is a metaphor for it. I felt all my anxieties go away once I set foot on the trail. I remember giving my parents a call from the border, it was an emotional moment for me. The first day I set off from Campo and made it to Lake Morena before sundown (22 miles if I remember correctly). Soon, the days would become hotter, making night hiking a better option. After a few weeks of thru hiking, your body adapts, your senses heighten, and you sleep like a baby. I wasn't a huge mile masher to start, I took my time wanting to avoid any overuse injury. After 200 miles I was ready to go, I upped the mileage, as well as the calorie intake. Trail hunger had set in, so every town stop was a culinary celebration. The Pacific Crest Trail is a windy one, it twists and turns, and it brings you this sense that you're progress is slow-going. You inevitably start to question the trail after the first couple days of twists and turns in the heat of the Mojave days. Another piece of advice: let the moon be your guide. Night hike when the moon provides you with light on the trail. Avoid hiking in the hottest parts of the day. You're basically on a photographer's schedule, stay up late and get up early. Take advantage of the light in the darkness, and once your up for it, mash up some miles. Plus, it's the best time to be awake, you get some sick scenery in soft beautiful light. I didn't dread the desert one bit, ok maybe Tehachapi's winds and walking in sand. Every day on this trail gifted me a special moment. I gave thanks every morning at sunrise to be able to do what I was doing. I remember early one day walking through San Bernadino National Forest, clouds got socked in and it started to dump. It was quick and fierce. Then the sky opened up for a minute and a double rainbow appeared right in front of me, I felt like that dude on Youtube. Beyond the amazingness of this rainbow, the desert floor opened up to the rain. The wildflowers, the desert sage, every plant around me began to release their essence to the rain. It was epic. The 400 mile stretch of Sierra Nevada mountains is a stretch of land incomparable in beauty. Before the trail, I guided backpacking excursions out of Yosemite National Park for 4 seasons. This was my introduction to the Sierra. One lifetime doesn't suffice to explore the grandeur of this place. I felt that walking through it would at least give me a taste of the entirety of its wonder. After walking through it, I'm still not satisfied, I need more. I see myself wandering these mountains for as long as I exist. 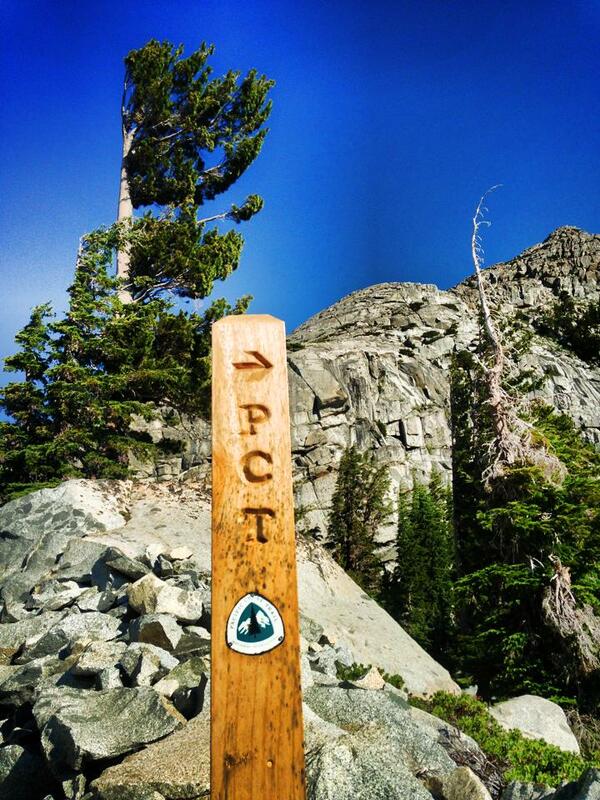 The PCT gives you barely a taste of it. Witnessing the birth of rivers, the butterscotch smell of Jeffery Pine, the dark rift of the Milky Way is MaEarth's ability to humble you, to help you be aware of your place in this world; this is what the Sierra has gifted me. The Pacific Northwest is like that extra serving of dessert when you get into town trying to suffice that trail hunger that's been torturing you the last 20 miles on trail. The Klamath Wilderness is this beautiful confluence of lands that stop you. The rugged spine of the Cascades is unforgiving if you happen to catch weather on your walk. This part of the trail tried me. I confronted some gnarly weather; rain for days, hail, sleet, snow, lightning, and a sense of self. I walked Snoqualmie to Steven's pass before an epic storm rolled into the Cascades socking in every one on the trail. At least 9 hikers were stuck in gnarly weather. The government shutdown, all trails were closed, and my time on the PCT came to an end at 2,550 miles. I look to finish the 100 or so miles that I have left this summer. Can't wait. A brief rundown on what worked for me. I started the trail with a base pack weight of 15 pounds. Pack weight is relative to what your plans are, how far you intend to hike between town stops. 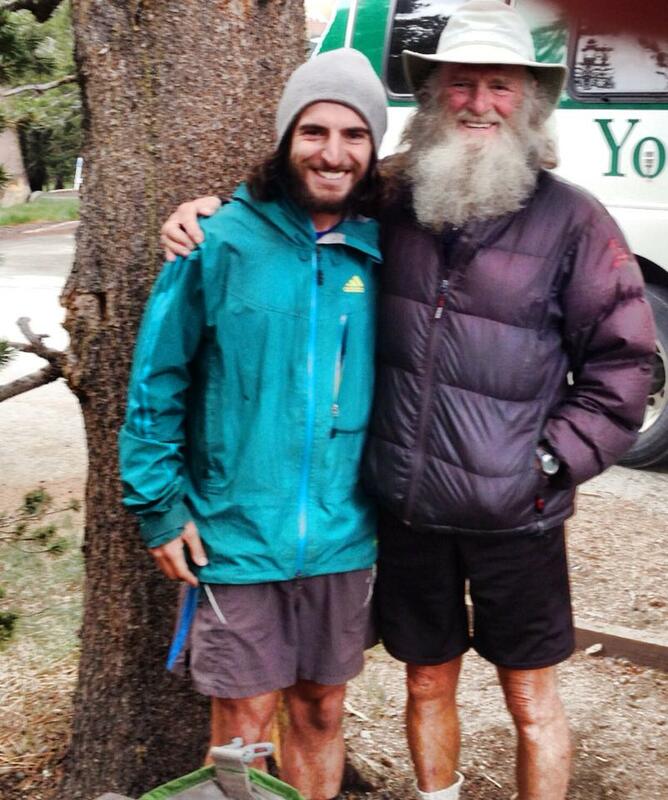 For example, I walked Kearsarge Pass to Reds Meadow in 6 days with no resupply between the 120 miles. My pack was burly, uncomfortable, but I ate the weight away in the first few days. Mariposa and I peering out into Death Valley from Olancha Pass. The Mariposa was my go to pack on trail. This pack is a high volume, functional, durable piece of gear. It’s a sub 2-pound pack boasting seven external pockets, including a massive mesh pocket on the belly of the pack. I used this mesh pocket to store gear I needed on the fly, packed it with extra water in the desert, and bags of chips without crushing them; extremely convenient. The large side pocket housed my tent wrapped in a tyvek sheet a cut out for it. I still had room to cram other small pieces of gear in it. The lid of the pack also has a pocket large enough to store gear you need without exploding your pack. The hip belt pockets are large enough to carry maps, compass, snacks, camera, and other small go to items you want to at your disposal. This pack took a beating throughout thousands of trail miles. The Dyneema fabric was tough enough to endure bushwhacking, granite, and all the elements MaEarth would throw at it. My only gripe with the pack design was the cordage fastened to the bottom of the pack with a small grommet keeping it together. It didn’t take long for the grommet to bust stuffing a wonky pack coming out of a resupply; nothing a quick field repair couldn’t fix. I recently purchased the updated version of the Mariposa, and was happy to see GG had redesigned the fastening system with stronger webbing without compromising and increasing the packs functionality. When I ran into these small problems on the trail, Grant and Gage were open to help me in replacing my pack and sent me out a freshy on trail; that was all time, thanks much fellas! All in all, I would highly recommend this piece of gear to the lightweight backpacker. I will update with a review of the new Mariposa after my second trek with it this weekend in Yosemite. I had this tent for a season and decided to bring it with me on trail. It’s a single-walled freestanding tent. Again, when I purchase gear, I look for functionality that complements the type of hiking I do. The design of this tent is bomber; it can withstand some gnarly weather when set up properly. Moreover, this shelter is affordable ($259), lightweight (34oz), and is spacious enough to spoon in. I have a love hate relationship with single-walled shelters. In weather, the condensation build up can dump on your gear, which is annoying. I’m trying out a double-walled shelter and will post my thoughts on it once I have more time in the backcountry with it. The only problem I ran into with this tent was the zippers. After two seasons and the grit and grime of 5 months of straight up walking, they failed on me. The temporary fix was to clean out the zipper coils and cinch the sliders with a set of pliers. That helped for a bit. I contacted Henry Shires, he offered to send me a replacement zipper and instructed me to cut of the ends of the coils and slide the bad ones off and slide the new ones back and sew up the problem. In his defense, I felt defeated at the mention of needle and thread. I’ll get my game up Henry, thanks for helping. Goofin' around drying off after a hail storm. Thanks Oregon. This bag is it; it’s my favorite piece of gear. The loft on it is the best I have cozied up to. The Ultralite weighs 1-pound 13oz and is highly compressible stuffing nicely into a pack. The craftsmanship of this piece of gear is quality. I’m a hot sleeper, so I rarely zip this 20-degree bag up. The only time I have zipped it up, I have woken up with a crusty layer of frost on it, and it kept me warm all night. I put the Ultralite through the wringer towards the end of the trail. Washington’s rains and snow storms dripped on my bag for days, and it still kept its loft keeping me safe from the elements. There isn’t much to say about this piece of gear, I support small manufacturers so long as they stand behind their product; Western Mountaineering does it for me. Well...I can go on for days about this trip. If you have any questions or comments, they are always welcome. Walk in beauty.